I like football. I have to say, however, I liked it a whole lot more before the Chargers moved to L.A. (moment of silence). San Diegans remember that the team went to the Super Bowl in 1994. I remember it so well… my dad brought home a ton of football-themed blow up paraphernalia like goal posts and footballs for decorating our house since we’d be hosting the big party that year. We cooked up a storm and the house was packed with people; we were mega fans. Even though we lost to San Francisco, that was by far the biggest event of the year. Then, of course, 4 months later O.J. ran and went to trial, becoming the biggest event of the decade. Even so, that was the Chargers’ glory year. Since then, I’ve not been nearly as excited about any other Super Bowl game. In fact, most of my Super Bowl’s growing up were spent with my mom, away from the television. She and I would head to Horton Plaza in downtown San Diego for the day. Traffic was non-existent; the mall was open, but empty. Everyone, obviously, was watching the big game. We’d go out for a nice lunch, we’d see a movie, we shopped and we always ended our day by stopping at Croce’s Coffee House (remember that place?). They had the best café mochas I’ve ever had, even to this day. We know there will be plenty of attention paid to the biggest sports game of the year this weekend, but for those of you who – well – prefer wine over football, we’ve got good news… Ponte is hosting “Sweet Pairings” in the Reserve Room, this Sunday, February 5th from 11:00 am to 4:30 pm. 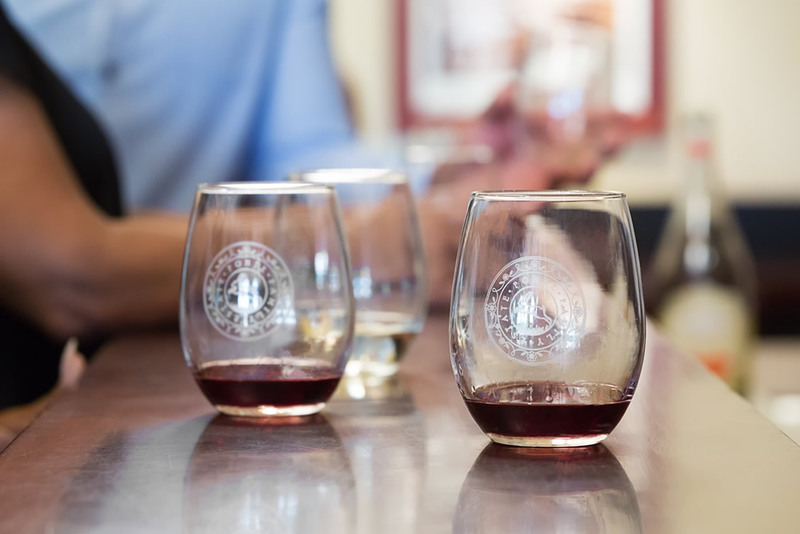 Wine Club Members are invited to partake in decadent tastings of Library Beverino, Late Harvest and Port, three of Ponte’s best-selling sweet wines, as well as samples from Kuba Kreations bakery and Bond Bar, a Los Angeles-based house of chocolate. Wine and chocolate? Even Super Bowl watchers might not want to pass this up! The great part is that – if you do want to watch the game and partake in our little event – you can come early and still make it over to The Cellar Lounge at Ponte Vineyard Inn for kickoff. And the event is just in time for Valentine’s Day to boot. From noon until 4:00 pm, enjoy live music from the ultra-talented Jimmy Patton as you sip your wine on the Reserve Room patio. It will be a sweet afternoon, indeed, and we hope you can join us! The Reserve Room is a private tasting room open to Ponte Wine Club Members only. No reservations are necessary.